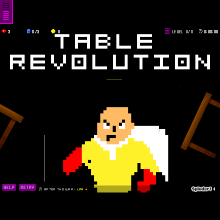 The tables of this world have had enough. So they pursued a revolution aimed to punish humanity for years of exploitation. Charles, a young boy, was the only one that escaped the wrath of the rebellion. Will he survive? Will he restore humanity?